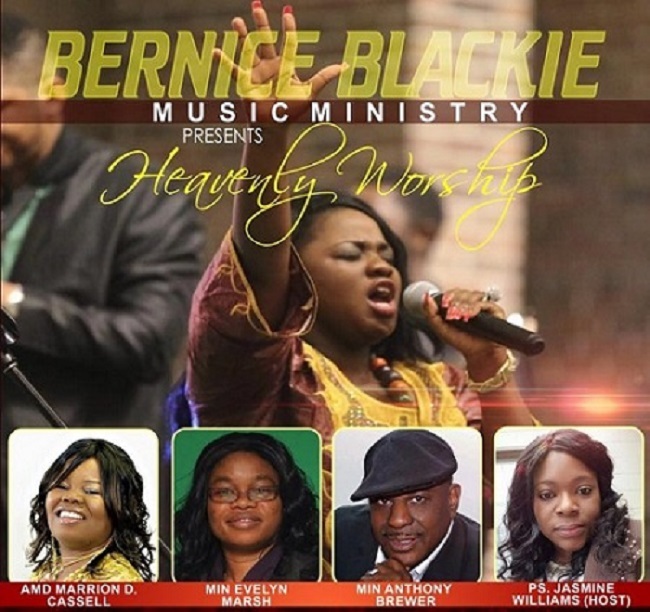 Popular Liberian gospel singer Bernice Blackie will be in concert this Sunday in Brooklyn Center, Minnesota, the USA. The multiple award-winning recording star will headline a show that will feature other talented artists as they set ablaze the Brooklyn United Methodist Church with songs of praises and inspiration. Her latest hit single ‘You Change My Story’ will be among the songs she will perform. Gifted gospel artists like Ambassador Marrion D. Cassell and Ministers Evelyn Marsh, Anthony Brewer and the Barach dancers will display their enormous talents. Prophetess Jasmine Williams will serve as host for the event. Since Blackie moved to the US to further her glowing musical career, she has given a number of performances but this will be the first time she’s coming out under her own production. The concert, dubbed Heavenly Worship, is put together by the Bernice Blackie Music Ministry, notes the singer’s manager Lena Thomas Marshall of Aza Global Entertainment Agency. It will be a busy weekend for the Liberian star as she is expected to shoot her latest video on Saturday in Minnesota, working with Ghanaian-born director Francis Sampah. Many thanks to Nordic Africa News for the article on Bernice Blackie.